A bar that looks cool and modern is essential for today’s choosy in-crowd. If you want your bar to be the latest ‘hot spot’ your furnishings and colour schemes will be as important as the cocktails you serve. So when it comes to your bar fit out or refurbishment, it’s essential to get the professionals on board. From the design and build of a custom made bar to the seating, flooring, wall coverings and trendy lighting: we’ll make sure your bar is the best place in town. Bar designs are constantly changing. What seemed hip a few years ago can seem tired and dated now. At Lewisford, our bar interiors use the latest technologies and materials to achieve that contemporary look. Our mood boards will show colour schemes, fabrics, lighting, furniture and flooring. Whilst technical drawings and 3D visuals, produced using the latest CAD software, will give you a great idea as to how your bar fit out will look. Once the design, estimate, and timings have been signed off our experienced project managers will look after your bar fit out until completion. 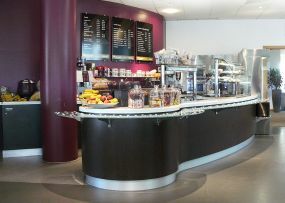 Call Lewisford on 0208 912 1712 to discuss your bar fit out project.